life:: will we ever see spring? I know it’s only February, but man oh man do I need spring. 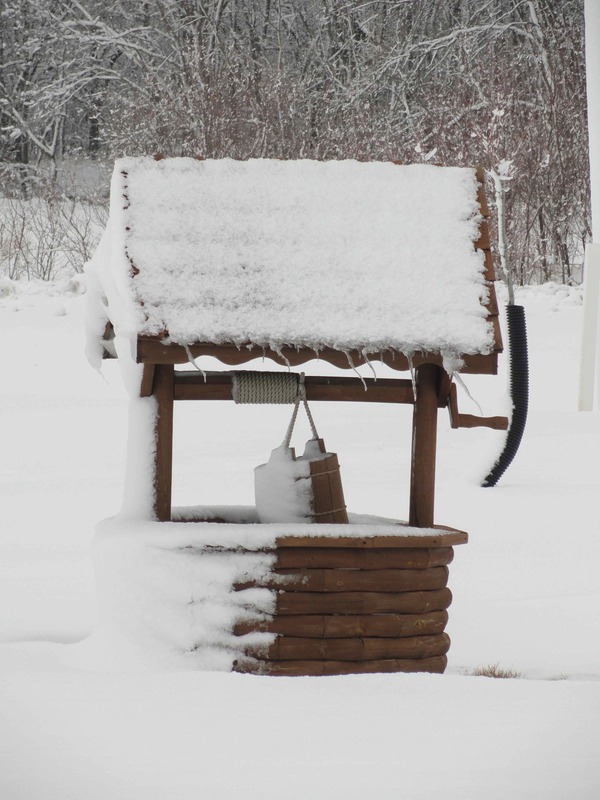 We just keep getting snowed on…with another foot of the white stuff on it’s way later this week. 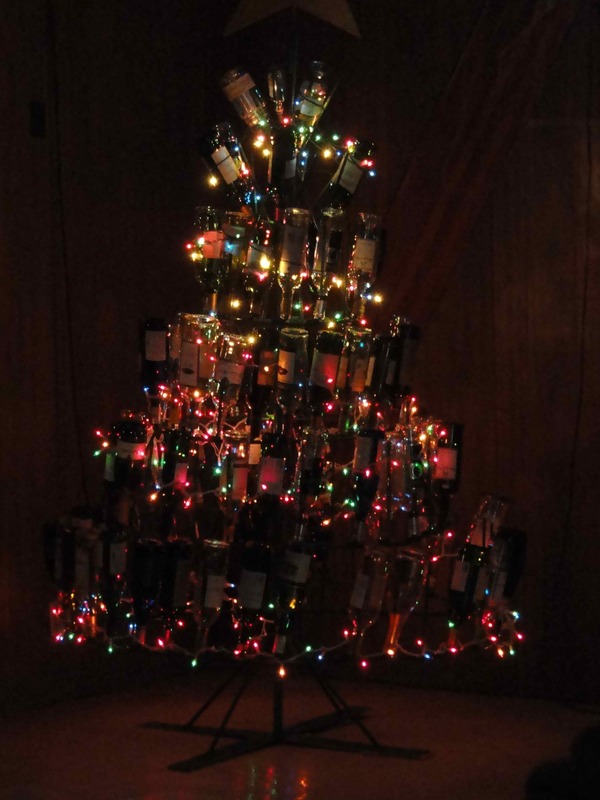 …and this wine-bottle tree was still up at a party we attended. Awesome creation by one of Frank’s co-workers…but I am so ready for spring. On another bright note though, I am one single row away from finishing the wool-eater afghan. The rows now take upwards of 4 hours to complete, and I started it a year ago, but that one will be in the done column this week. w00ty w00t. The snow makes for a pretty picture. And the wine bottle tree is kinda cool. But I understand being ready for spring! Good job on the afghan! Thanks 🙂 Look for your mojo under the bed, sometimes it hides there too.